Simon Bell is Professor of Innovation and Methodology at the Open University in the UK and CEO of the Bayswater Institute in London, UK. He has held a number of Visiting Professor roles. With over 100 published books and articles, Simon has written on subjects including information systems methodology, action research, participatory methods, coastal sustainability, systemic approaches to environmental problem structuring, sustainability indicators and fear management. Stephen Morse is Chair in Systems Analysis for Sustainability in the Centre for Environment and Sustainability at the University of Surrey, UK. Steve has a background in applied ecology and the environment and his research and teaching interests are broad, spanning both the natural and social sciences. 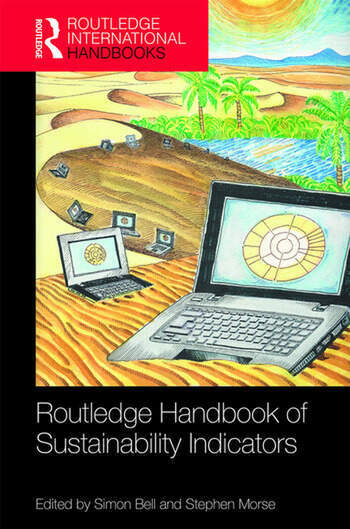 He is a Fellow of the Royal Geographical Society, the Royal Society of Biology and the Higher Education Academy and has published 18 books and over 140 academic papers, many of them on the assessment of sustainability (including indicators).